Cresting the hill, a vista unfolds much changed since I last visited five years ago. 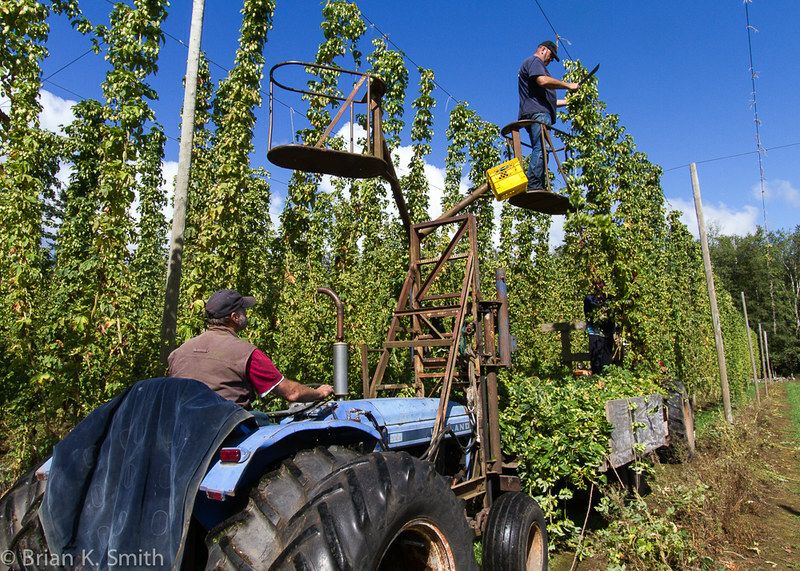 Once an open field and a vision in the mind of Christian Sartori, the land is now covered by trellises draped with verdant boas sporting clusters of aromatic hops, hops that gave rise to Driftwood’s legendary Sartori Harvest IPA. Join BC’s newest brewery with a full-time job opportunity to learn the brewing business from top to bottom. Mark Anthony is “a BC success story,” with brands like Mike’s Hard Lemonade, Hell’s Gate, Mission Hill Family Estate, California Cooler, Rockstar Vodka, and many others. The starting rate for the role is $15.45 per hour, with full benefits and three weeks vacation. See the job posting to apply. The Operations Supervisor duties are to supervise the daily operations of blending/brewing and production of finished Wine and Beer kits to company specifications. Post secondary education (Operations Management or similar) or equivalent practical experience is required. 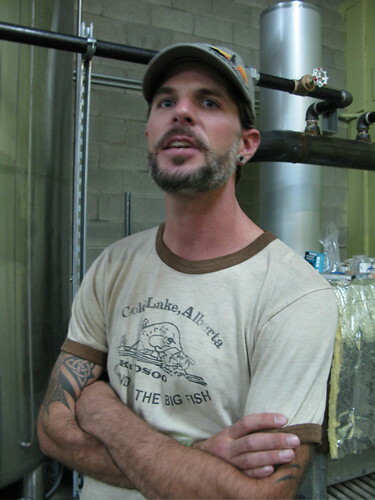 Driftwood Brewery brewmaster, Jason Meyer, talks about his plans for brewing various styles of beer for a constantly-changing offering (Photo © 2008 Rick Green). 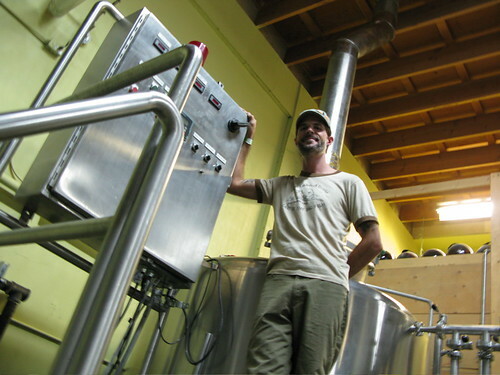 Jason Meyer is in the middle of making Driftwood Brewery’s first commercial batch of beer. 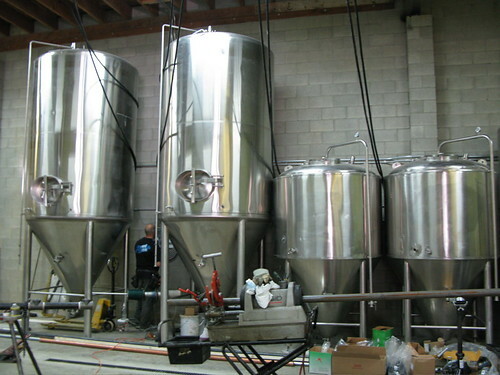 Their flagship Driftwood Ale and Farmhand Ale saison have finished fermenting. We’re getting closer to experiencing a welcome addition to B.C.’s craft-brewing scene. Driftwood expect to launch these in Victoria this month. Farmhand Ale is a traditional Belgian-style farmhouse ale named for the beer that seasonal farm workers consumed when bringing in the harvest. At 5.5% ABV, this ale was made with sour mash and added spice. While Driftwood’s primary market will be Vancouver Island, brewery President, Kevin Hearsum, intimated that their beer will also be available at The Alibi Room in Vancouver. We may also be lucky to see some 650ml bottles with the SRP of $4.75 in select stores. To track Driftwood’s progress, you can find photos and video on the brewery’s Facebook page. I also have photos on Flickr from my visit there on September 5. Victoria’s Phillips Brewing has been expanding thanks to its aggressive ambition to release a seasonal beer every month. That goal had been momentarily set back in May as they moved from Esquimalt into a new brewery in Victoria. Now getting settled in, we should see Phillips get back on track with this week’s release of their new WheatKing Hefeweizen. If you are interested in carrying Phillips products in your bar, pub, or restaurant, call Kurtis Lysholm at (778) 866-0360.